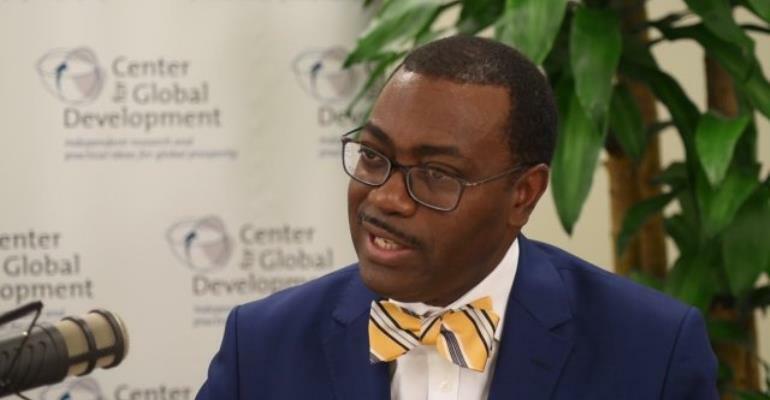 African Development Bank President Akinwumi Adesina is expected in Washington DC, on Monday, to take part in the IMF/ World Bank Spring meetings from 9 to 12 April. Dr Adesina and a delegation of senior Bank officials are expected to meet with US Congresswoman Karen Bass, who serves on the House Committee on Foreign Affairs where she is a Ranking Member of the Subcommittee on Africa, Global Health, Global Huma Rights and International Organisations. The meeting will be attended by other US government officials and investors. Dr Adesina took over as chairman of all MDBs in Davos earlier this year. Also scheduled during the trip are bilateral meetings with Dag-Inge Ulstein, Norwegian Minister for International Development; Maryam Monsef, Canadian Minister for International Development and Vice Minister Masa Asakawa, the Japanese Vice Finance Minister for International Affairs. The African Development Bank Governor's Consultative Committee (GCC) Meeting, to take place on the sidelines of the IMF-World Bank meetings on 11 April, is expected to be one of the key highlights of the DC trip. The meeting aims to move forward discussions on the 7th General Capital Increase (GCI-VII) of the Bank group. It follows the December 2018 Regional and Non-Regional Governors Consultation meeting held in Rome.